Taxes belong to our life. They inseparably belong to any economic activity. Therefore it is vital to remember taxes when making every important economic decision. Do you consider a new business transaction? Do you consider a new investment? Do you intend to enter into a new type of business agreement? Are you in doubt whether you comply with the requirements of the tax law? Are you liable to file a tax return? 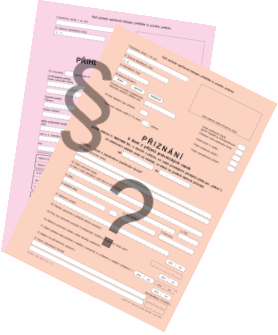 Has the tax office started a tax audit and you would like to utilize all your rights? Do you look for possibilities of the optimisation of your tax liabilities? I can help you with the tax matters connected with all the above mentioned circumstances. Risk avoidance – the tax law is rather complicated and there are a lot of tax risks connected with its application, it is important to recognise real tax risks and to adopt appropriate measures in time.